Peace has finally returned to the National Youths Council of Nigeria (NYCN), after four years of leadership crisis. The NYCN, an umbrella body of all the youths in Nigeria, had been operating under parallel factions since the fallout of the Makurdi Elective Congress in 2013. The crisis had also resulted to litany of litigations, despite series of interventions by concerned Nigerians, especially, former Speaker of House of Representatives, Rt. Hon. Aminu Tambuwal and the Department of State Services (DSS). While addressing a large gathering of Nigerians last week, the Honourable Minister of Youths and Sports Development, Barr. 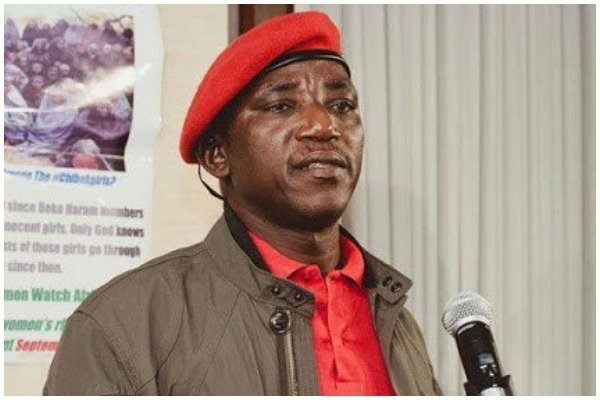 Solomon Selcap Dalung, disclosed that “the inability of the leadership of the NYCN to resolve its differences has denied Nigerian youths the opportunity of benefitting in diverse ways from the federal government and the international donor agencies, especially, as a result of the factionalization of the NYCN along ethnic, religious and political lines”. At the stakeholders meeting involving the past and present leadership of the body as well as the members of Board of Trustees held in Abuja on Wednesday, the Council unanimously resolved to give peace a chance. The Convener of the peace accord and National Commandant of Peace Corps of Nigeria, Amb. (Dr.) Dickson Akoh, said the unity and corporate existence of the Nigerian people would be threatened, if the youths did not come together in lasting peace and tranquility. Akoh who is the Board of Trustees of NYCN representing North Central, said, as part of moves to ending the crisis, and in line with the new constitution of the council, he had pleaded that all standing court cases be withdrawn. “In the interest of genuine reconciliation, I have instructed the legal counsel to discontinue forthwith the suit instituted against the Hon. Minister of Youths and Sports, the Attorney-General of the Federation, the Corporate Affairs Commission and others challenging the process that brought in our fellow Comrade, brother and friend, Barr. Ikenga Ugochinyere Imo as the then President of NYCN. “In like manner, I wish to strongly appeal to all those who have any pending case or cases in court that relate to the NYCN to discontinue same in the interest of peace and progress of the NYCN”, Akoh said. He therefore appealed to the Nigeria Police Force and the Department of State Services “to refuse to be used by any member or group of members under the umbrella of NYCN to perpetrate anarchy within the body or the larger Nigerian society”, assuring that, the council will continue to work with all constituted authorities under the ambit of the law.